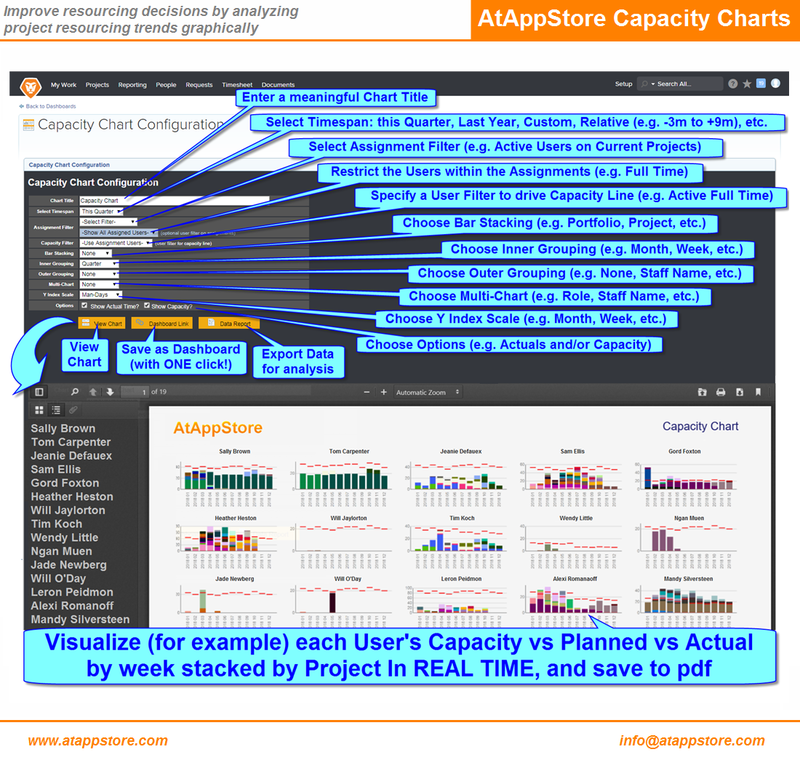 You can then configure highly customizable stacked charts to visualize changes in capacity vs planned vs actual project information over various time ranges. You can save chart (or data grid) as a Workfront dashboard with a single click, and then share it to those users who need access using standard Workfront sharing and layout template methods, building out an unlimited suite of business intelligence. Your first year’s annual license of our Estimate solution includes up to four hours for branding, installation, and training. And because it’s based on our Magic Reports technology, if you’d like us to tailor it to suit your needs exactly, we’d be happy to discuss a fixed quote to do so. Our JITR™ (Just In Time Resourcing) bundle saves you a significant amount in annual licensing fees across a powerful, related set of our most valuable Resource and Scheduling solutions. Our Heatmap solution offers you graphical, prioritized insight into which projects, roles, and users are covered, which ones are at risk, and which ones currently do not have adequate resourcing planned.